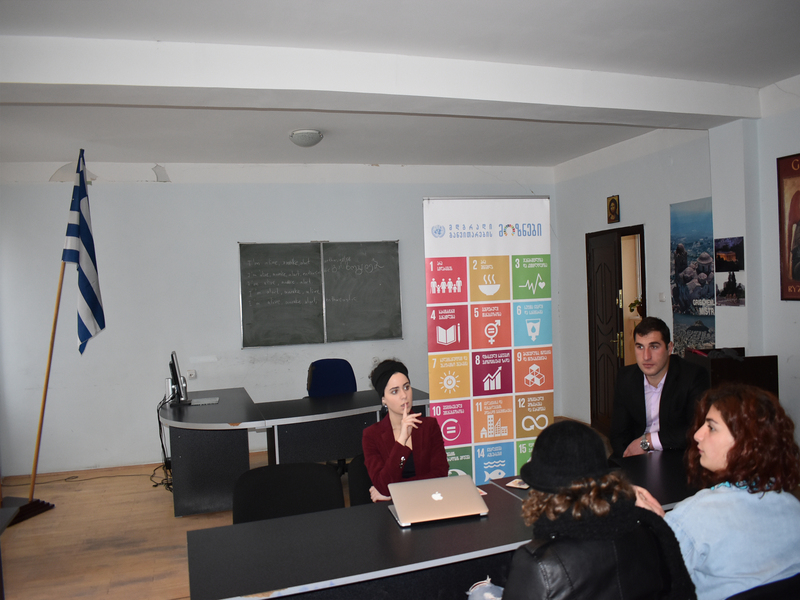 The meeting was held for the students of Samtskhe-Javakheti State University and was led by Lika Torikashvili, the United Nations youth representative from Georgia. During the meeting she once again highlighted the Sustainable Development Goals and discussed the problems from students’ perspective connected to the accomplishment of these goals. Students also discussed the issues of social engagement in general, economic well-being, good governance, sustainable energy and environmental protection. As we already know all 17 Goals of the UN Sustainable Development and 98 objectives have been defined as national priority. The meeting was initiated by Mindia Shainidze, a graduate of Samtskhe-Javakheti State University.